Need a new shirt? Register between now and April 30th and this beauty could be yours. There a still spots available for runners, trekkers and kids. Beautiful night out. 4 humans and 3 pups enjoyed the trails this evening. Thanks friends! See you next week. Monday run. 6:30 pm. Higgins St Nature Park entrance. See you there. For just a $5.00 membership you can participate in all our Thursday Night Orienteering events (TNT) for free. We also welcome the Monday Night Runners to grab a membership. It only takes on minutes to sign-up. 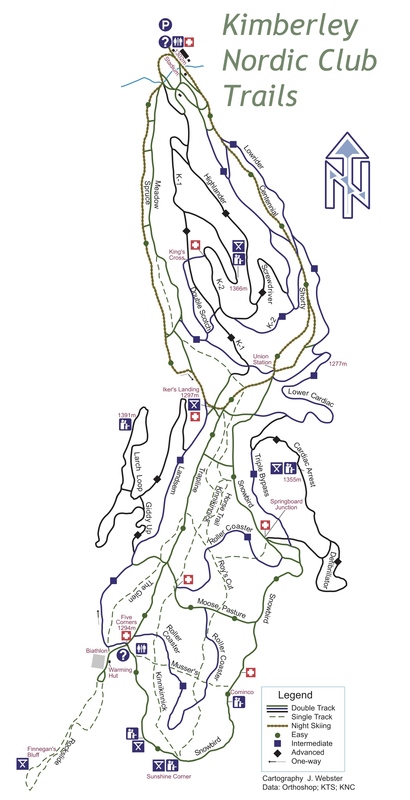 Membership also is included with your Round the Mountain registration.. https://kootenayorienteering.com/pages/151 . It’s Easter. A perfect time to get outside and enjoy the day.. Happy Easter from the Kootenay Orienteers and Trail Runners. Thanks for your continued support. Who are we? The Kootenay Orienteering Club hosts orienteering and trail running events in the Kootenay region of British Columbia, in particular, in the Rossland, Cranbrook and Kimberley areas. More than just a run, orienteering combines fitness, strategy, map reading, and navigation skills to find a series of pre-set check -points. Trail running get's you off the roads and onto softer ground. Whether running along a forest trail, over a hill or through an open field, training running can be both invigorating and great for your health. A fund to promote and support athlete, coaching and officials development. This fund is available to club members on an annual basis. Annual submissions must be made by September 30th. Club membership is only $5.00 per year.